From Pitch Perfect 2. By Deke Sharon. 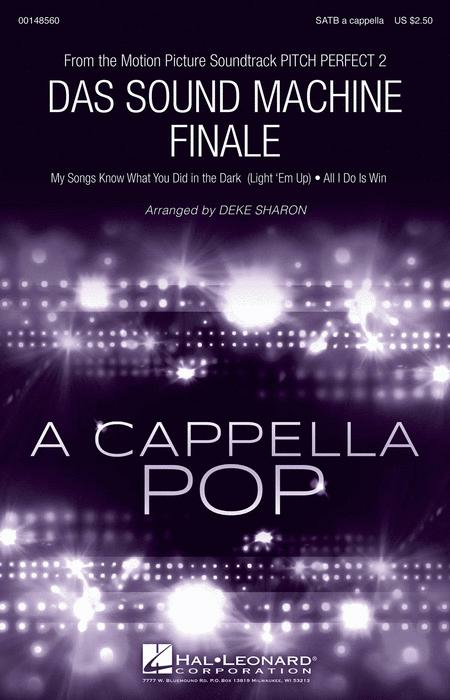 Arranged by Deke Sharon. Pop Choral Series. Movies, A Cappella, Pop. Octavo. 20 pages. Published by Hal Leonard (HL.148560). From Pitch Perfect 2, to save their group the Bellas need to defeat the world's greatest a cappella group performing this, their greatest a cappella arrangement. Songs include: My Songs Know What You Did in the Dark, All I Do is Win. The only SATB song from the movie!